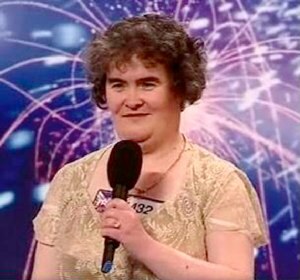 Do you remember Susan Boyle and her first appearance? For some people looks are the most important issue when making a connection with a potential partner. For others, they look towards signals such as sense of humor and sensitivity to judge whether a person has potential. I'll discuss what your appearance says about you and how you can use this to your advantage. Whether we want to accept it or not, we live in a society in which image is everything. The way we present ourselves, from the clothes that we wear to our hairstyle and even how we smell, are all major players in how someone will perceive you on first meeting. Visual signals can give away people's personality traits, and, if we're completely honest with ourselves, we've all been guilty as charged at some point or other of reinforcing the old adage ‘to judge a book by its cover' on a more than frequent basis. This non-verbal communication is just as important as what comes out of our mouths. In fact more so in a lot of ways, because whether it's right or wrong, this can set a precedent for how people judge us. Of course, it's what's on the inside that matters. However, many of us believe that the way we present ourselves on the outside speaks volumes about exactly that. Looks matter to everyone, from your love interests to a job interviewer. It can be a harsh reality of life, but if your clothes are crumpled, your hair dishevelled, and shoes scuffed you may be about to bomb at that job interview or maybe not get asked on a second date. When it comes to career advancement in the workplace, it should be your skills that make you shine. Your image can also speak volumes about your work ethic and level of professionalism. According to one US study 95% of employers said a jobseeker's personal appearance affected their opinion of that applicants' suitability for the job. A whopping 91% said they believed dress and grooming reflected the applicant's attitude towards the company and 61% said it had an effect on subsequent promotions. So, it seems that sending your sharp suit to the dry cleaners, taking an iron to your shirts and thoroughly polishing shoes will win out on any day. I'm a firm believer that what you wear on the outside reflects your personality and aims. So if put in the effort when dressing for that job interview, your future employer will see that the effort and execution is a reflection of dedication to high quality work. As endless ‘makeover' TV programmes testify, changing your image can change your life for the better. You can use your wardrobe to change how others perceive you - and even how you think about yourself. This has been referred to as ‘the psychology of dress' – a powerful tool that can be both empowering and damaging in equal measures. Choosing the right clothes for a situation (and your age), avoiding any obvious fashion faux pas (guys ‘socks with sandals' ahem! ), and generally taking pride in your appearance will not only create a positive first impression, it'll be a real confidence builder for you, whatever the situation. Nobody expects you to be packaged into something you're not, but your appearance is a reflection of your own self-esteem and you should aim to do your personality some justice by portraying yourself in the best light. I strongly believe that projecting confidence can grow to genuine confidence. So how can you and I take these facts and lessons into our everyday life? I don't think anyone expects you to dress like something you're not. That doesn't make sense. Feeling comfortable in your own skin is really important, it means we can be ourselves and not feel alien to our friends, family and colleagues. What is important is making that effort. My school teachers used to tell me “If you try hard, you have a better chance of succeeding”, and they were right. Going that little bit further or working a little bit harder at something, pays dividends. This applies to many areas of life, including the way we dress. How have you been judged by your appearance? Should you really care what others think? I'm a journalist and busy mum to pride and joy Sonny Edward. For the last 15 years in between family life she has been working as a lifestyle magazine editor and has written many true life stories for well-known womens’ mags and national newspapers. Alexandra J – who has written 1 posts on GeekandJock. That was a well written article. I couldn’t agree more- great read! By the way, thanks for using our video, Alexandra! I hope you enjoyed it as much as we had making it. 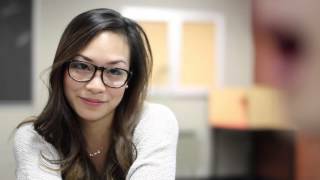 Nice video indeed – I added it to the Alexandra’s post as I loved the message it conveyed. To judge a person by what he or she looks like is a challenging things on our end too. it will be better to keep our not to judge and see what others have to show. Nice post! :) Loved it! Well, Kristine, I think no matter how much we try, human beings will always bit just a little bit judgemental in most things we percieve, wouldn’t you say? 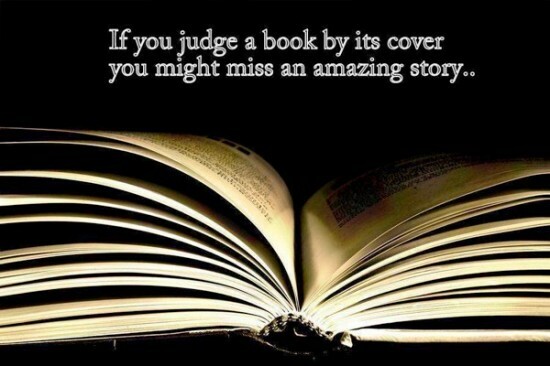 Before I start reading this, I asked myself if what it meant was to judge a person by his/her appearance? Haha! Npw I get what you’re up to. Thanks for sharing! haha Just what do you think we’re up to, Joy? Hmmm, interesting thoughts on how appearance affects the way people perceive you. While I don’t agree that what you wear is a reflection of your work ethic or how successful you are capable of being, I do believe in common courtesy. By that I mean, if you are going to an interview or a business meeting have the courtesy to look professional. Sure, I can show up in jeans and a t-shirt and I’m still capable of doing my job just as well as if I were in a 3 piece suit, but the question is this: how much harder am I going to have to work to get that person to take me seriously? As humans, we are visual creatures and we feel the most affinity around those that look like us. Imagine you were interviewing someone for a job and they showed up in a clown suit… You’d never take them seriously unless… You were interviewing them for a position as a clown for children’s birthday parties. So, it’s not just about looking professional, it’s about presenting yourself in the way that you want people to perceive you. Wow, some really interesting perceptions, Hermine and welcome to the site too. 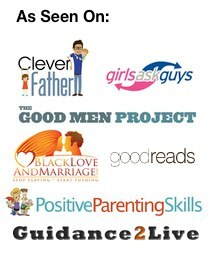 Do you think men are more judgemental than women? My thoughts is that women tend to be, despite men being more visual. How do you think that stacks up? Well I saw it for the first time on Youtube – bloody astounding and a brilliant performance. So, no, you can’t and shouldn’t judge. But … lots of people do and you need to also be realistic about that and take steps to ensure you do ‘appear’ as best you can, in the circumstances you’re placed in. That’s life I guess, huh?